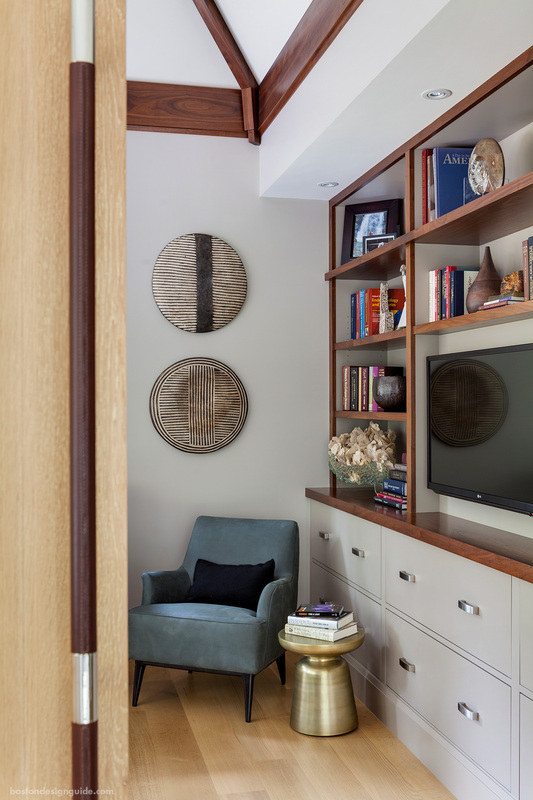 Creating a great-looking bookcase may come naturally to those in the design world, but to most of us it is not an inherited trait. The placement of showcased items should be thoughtful, not arbitrary, and done with an eye for balance and beauty. BDG connected with two industry insiders—an interior designer and an architect—to learn their tips and tricks of the trade. 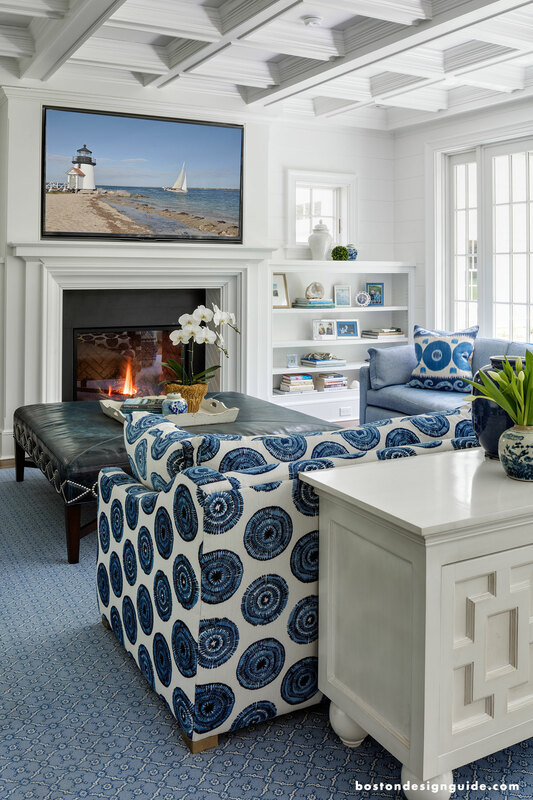 Interior designer Bill Barr of Surroundings Home in Mattapoisett and architect Dean Hofelich LEED BD+C of LDa Architecture & Interiors generously spilled some of their secrets for creating an artful bookcase. 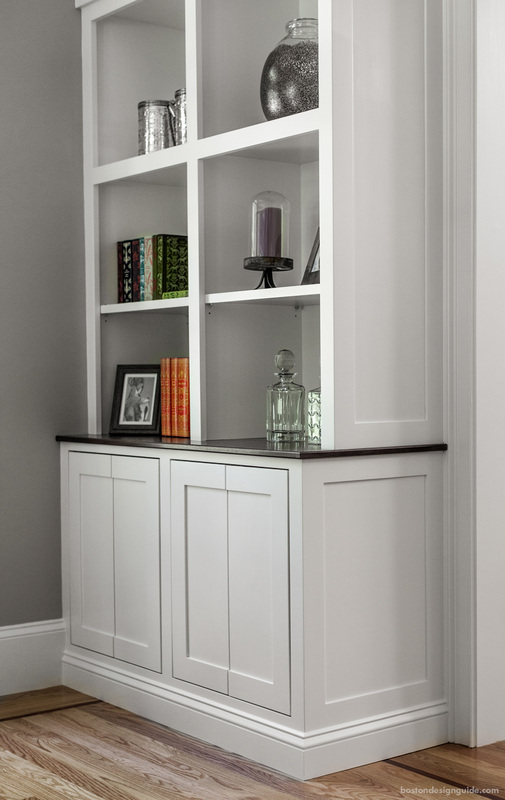 • No jacket required is Barr’s mantra for displaying books on a bookcase, so remove the dust jackets from hardbound books. Also, if you have a fair amount of books to display, unattractive, torn or paperback books need not apply, store them elsewhere. • Create bookends by using several stacks of books on their side (pile them in ascending order, largest on the bottom, smallest on top), with books shelved vertically in between. You can also feature an object or two atop the horizontal stacks. • Group similar items together. If you have a collection of family photos, dedicate one or more shelves for the pictures and then fill it in with decorative items. 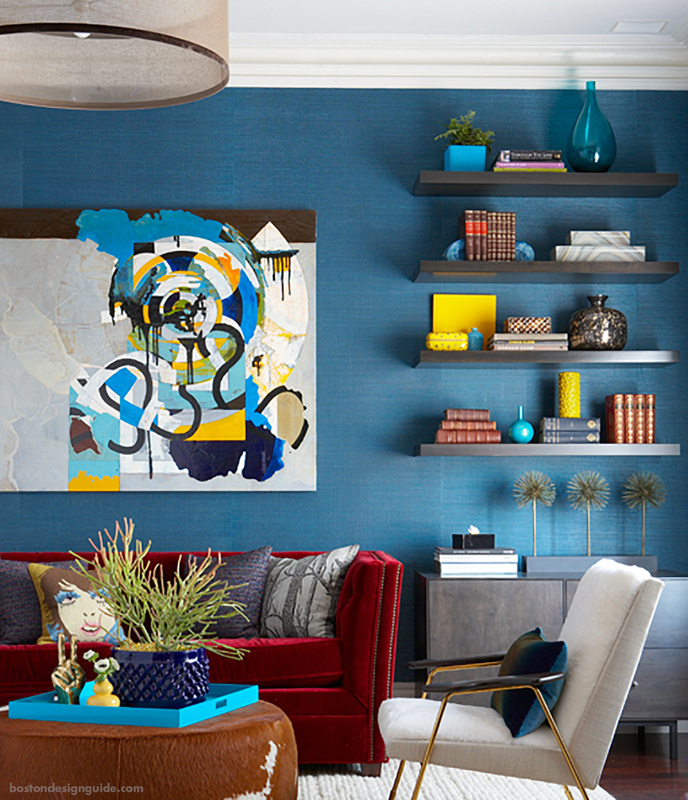 Keep your frames similar or complementary and create a theme using like colors, finishes or moods for a cohesive look. • Organize visually heavy items—like wedding albums or art books—on the lowest shelf of your bookcase. Display small paintings on stands or hang them from the vertical supports of a wooden bookcase. • Keep your bookcase clean and well edited. If you slowly add to your display, your objects run the risk of looking like bric-a-brac. And don’t forget to dust! 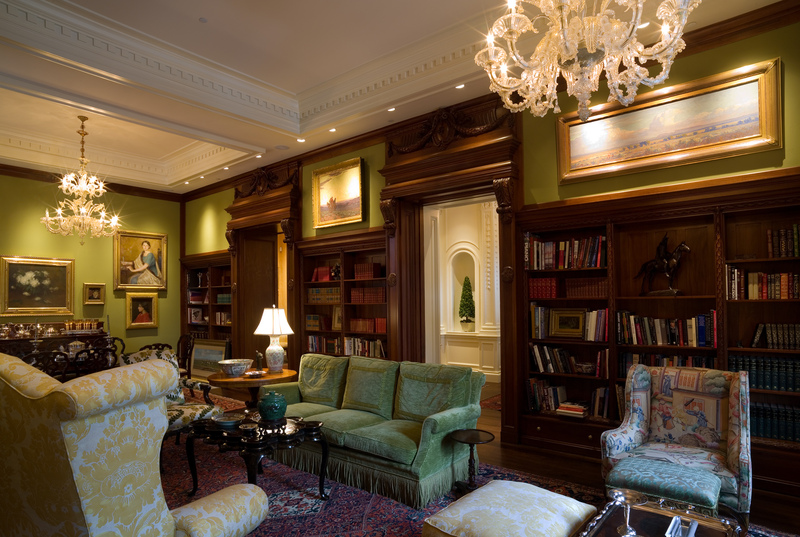 • Make sure your bookcase is consistent with your home’s aesthetics. • Go deep. When you design the shelves, consider your contents. Bookshelves are often used to display artifacts and collectibles, as well as books. Shelves that are 15 to 16 inches deep will accommodate most book formats and easily house the objects of your affection. • Set your shelving 15 to 16 inches apart vertically, as well. This allows you flexibility when choosing what to display. • Think outside the books. 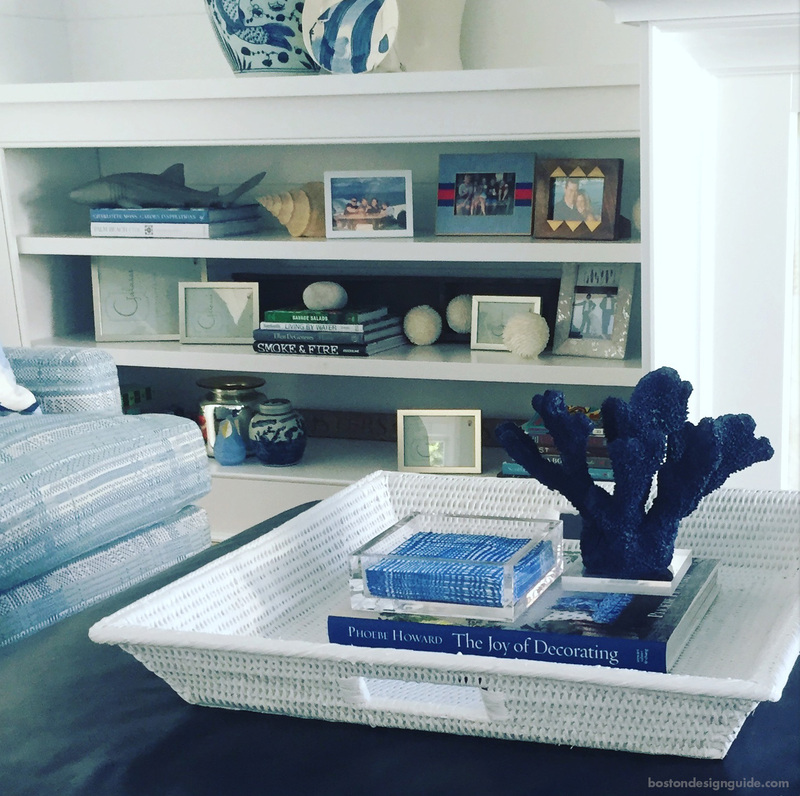 Showcase additional objects to enliven your arrangement and add visual interest. But keep it simple and within a theme; too many pieces look cluttered, not comely. • Consider adding closed storage on the lower half of the bookshelf to conceal items that defy organization. ARCHITECT TIP: Thicker shelves provide a custom look. Thicker shelves—from 1 ¼-2-inches—won't look like a standard bookcase.